Who would have thought that water putty could inspire such feats of artistry? Water putty? What’s that? That’s exactly what I thought when we received Sculpture Technique Model from ARTistic Pursuits Inc. in the mail last month. As part of Schoolhouse Review Crew I have an opportunity to read about exciting educational products and when I saw this art curriculum, I got very excited. Modeling is an important concepts in early Waldorf education (and if I didn’t make it clear yet, we are big fans of Waldorf education), but for some reason or another apart from a few clay classes we never really got into modeling in my house. Sculpture Technique Model: a unique introduction to the world of sculpting by Brenda Ellis is a spiral-bound volume with lessons, detailed instructions, list of supplies and plenty of visual examples. The content is divided into three units with each unit concentrating on a single element of sculpture: water putty, clay and fiber. Users are encouraged to stick with each unit for a while to master the skills and to make good use of the purchased sculpting tools. As a teacher I loved the structure of the book. Each unit starts with discussing particular element of structure in that unit (which I found particularly fascinating), moves on to Project Inspiration (where emphasis is on how to explore that material to inspire creative thought), step–by-step instructions guide through Project Execution (translating the understanding of the material into your own unique sculpture) and ends with Evaluation. The book also contains an article on creativity, templates, and classroom schedule. We usually do some sort of Art projects three times a week as normal part of our homeschool. Sometimes I put together exciting projects, other times my kids use the recycling bin and art supplies from around the house to exercise their imagination and create wild structures. Once we got this curriculum though all schedules were off. My kids just wanted to keep going until they finished each project. All the supplies needed for each project were easily available from amazon. While I was waiting for supplies I read through the curriculum and took some notes, so I could do the projects with my kids without consulting the book every step of the way. Once the necessary supplies were in the house I set up a sculpturing shop right on my dining table. (Just the first few times until I realized they don’t want to ever stop and moved them to art table). To protect our dining table I covered it with paper and taped it down. Now that I tried both newspaper and waxed paper, I can say that waxed paper works much better. The putty sticks to newspaper, rips it and if you let your final product dry on, then it will be stuck to it forever. The first few days were dedicated to exploring the water putty! I initially ordered two large cans of Durham’s Water Putty and they were gone before we even got to the main projects. You might be interested to know that Durham’s Water Putty is non-toxic, contains no VOCs (Volatile Organic Compounds) and is derived from minerals like limestone and plant based starch binder. Water putty turned out to be a wonderful molding material. Just add water (one part water to three parts of powder) and you are in business. We all thought it was very pleasant to the touch and my daughter especially was crazy about it. She molded it, rolled it, pulled out plastic shapes to see if they could work and they did. She actually missed dinner because she just wanted to keep going for hours, “Can I, please, keep doing this? Please….” All my kids love sensory play. Play-dough, slime, oobleck are all constant part of our repertoire but I don’t remember my kids being so crazy about any particular sensory material before. It’s impossible to tell you about all the wonderful projects we tried, but let me at least walk you through the first of the three units included in the book. In Project 1 we concentrated on creating flat sculptures. We started with a couple of fishes per book instruction and then my kids, especially my daughter, ended up making lots of Christmas decorations. Water putty dries solid and is perfect for making figurines. We let it dry for 24 hours and then my kids painted decorations with acrylic paints. Note: don’t forget to make an opening for thread before you let putty dry. When I explained to my kids the essence of Project 2: Static Mass they immediately knew that they wanted to make Star Wars characters. We printed out the prototypes and followed the instruction to create a mass from newspaper and tape. For Project 3 (still in Unit One): Dynamic Mass we picked a walking R2D2. The dynamic mass implies the sense of movement and we tried to get our droid to bend as if moving forward. It was really hard to do. I didn’t realize how hard it is to create that sense of movement. But my perfectionism is again getting in the way of good fun. My kids thought our R2D2 was perfect. His head may not have turned out very round and his legs looked too long and weird, but kids were happy. We also made a Millennium Falcon. My son was insistent that since Millennium Falcon glows in the dark, we must paint it with the glow-in-the-dark paint. We got in a car and went to Home Depot to discover that their glow-in-the-dark paint only came in white and since Millenium Falcon absolutely couldn’t be white, we went with the mixture of black and white acrylics. (We did end up buying a can of non-toxic glow-in-the-dark paint, so you can be sure that our next art project will involve painting with it). ARTistic Pursuits Inc. offers a wide selection of wonderful art instruction books. I have my eyes on two other books that I can’t wait to try. Our hands-on experience with The Sculpture Technique Model curriculum left nothing but pleasant memories. The course is not designed to turn students into sculptors, but nourishes creative spirit, teaches processes involved in working with specific materials and explains elements of sculpture. The book walks you through everything you need to know, step-by-step. Even if you don’t have background in teaching art, you will have a great time. If you are interested in connecting with ARTistic Pursuits Inc. visit them on Facebook. You can learn more about specific products and explore the wide range of homeschool art instructions on their website. It’s cool that your kids are getting out there and learning new techniques for making art! This art curriculum is so creative. I love the idea of allowing children to express their artistic sides and create things with their hands. This looks like a really educational and fun activity! Loving all the creativity involved and the final products! 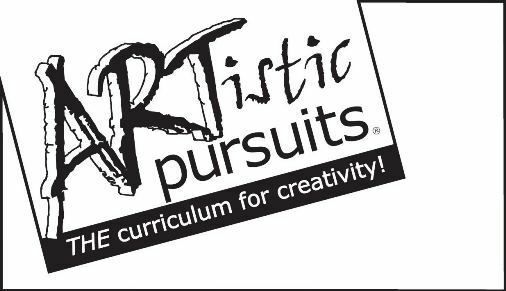 Hey Buddy!, I found this information for you: "Homeschool Art Curriculum from ARTistic Pursuits Inc. Review". Here is the website link: http://kidminds.org/homeschool-art-curriculum-review/. Thank you.